A must-read if your kids are on social media. A few weeks ago my oldest son told me that he is taking a break from social media. No biggie, he said, he just had a lot going on, needed to focus on school, and he’d get back to it some time later. Maybe. This son, now seventeen, is the only son who I no longer regularly monitor on social media. He has proven to be wise with his phone and has a clean track record in his use of social media. He also has accountability outside of his parents now, in the form of a youth leader and small group that he meets with regularly. (I’m so thankful.) We still maintain an “open phone” policy, so I can check his phone at any time, but I haven’t felt the need to in months. This kid has earned my trust. And even more: he has earned my respect. But it took time for him to get to this place. A few years ago, he wrestled with these things like every other teenager. At fourteen and fifteen, it wasn’t so easy to put social media away, and I honestly wasn’t sure how to counsel him. He struggled with wanting to use social media to stay connected with the outside world, (he is homeschooled and social media is a great connecting tool) but he also knew that it easily triggered comparison, insecurity or any number of negative emotions. So I offered him wisdom where I could, and we kept it an open conversation. He kept busy doing positive things, and basically did his best to keep perspective. And indeed, he walked through that season. In all of its uncomfortableness, he walked through it to the other side. Today he is not only in a happy and secure state as far as friendships and identity go, he also has a really healthy relationship with social media. The kind that occasionally nudges him to walk away from it. I’m so thankful for this son’s journey and how well he has handled things so far. 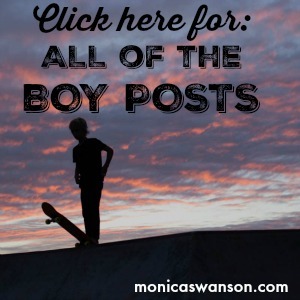 Yet now I watch as my next two boys–fifteen, and nearly thirteen years old — navigate their teenage years in this world of social media, where popularity and security are often hanging in the balance of Likes, Views, Follows…and UN-Follows. But add social media and the internet to things and: OH. MY. HEART. Keeping in mind–this is all new territory. We can’t exactly turn to the wisdom of past generations for help with this one. Yet we can turn to wisdom principles, sound judgement, and the experience of other parents to help us along. These are the things that fuel my passion for writing…It is truly my heart’s desire to encourage and support all of you (right alongside you) as you navigate these waters. But I am so thankful for other people, committed to this cause as well. My (online) friend, Kari Kampakis is a true champion when it comes to tackling these tricky topics. Kari is a mother of four girls, and she offers amazing support for parents of teen and tween girls over at her blog. 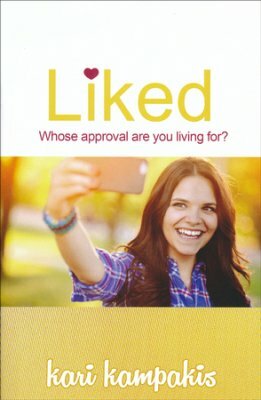 Liked is a must-read for teenage girls! And though the book is written for girls, I have found all kinds of wisdom and practical support for my boys in there, too. Don’t base your confidence on social media. If you rely on social media to build you up, you also give it power to break you down. Social media can mess with your mind, your emotions, and your confidence. While social media is a fun way to connect with friends, reading too much into it and letting it dictate your mood gives it a power it doesn’t deserve. Enjoy social media as an “extra” in your life, but don’t base your confidence on it. Put your faith in things that are real and reliable so your emotions stay off the roller coaster. Make sure you’re emotionally ready for social media. It’s normal to feel left out, jealous, or insecure when you see your friends on Instagram getting frozen yogurt without you, having fun at the lake, or looking so gorgeous that you feel like a monkey in comparison. But if you dwell on these negative feelings — or fall to pieces every time you’re not included —you are not emotionally ready to be on social media. Social media is meant to be fun. And if scrolling through a news feed causes you more heartache than pleasure, please sign off or delete the app. Take your feelings as a sign that the best moments of other people’s lives are blinding you to your personal blessings, and it’s time to pull back. Build up your friends, family, and classmates. If someone has ever written a special post about you — perhaps on your birthday — you know how awesome it makes you feel. So look for opportunities to celebrate others and shine a spotlight on them. Detach from your numbers. Social media has made popularity quantifiable. Among your peers, the barometer often used to measure your importance and worth is how many “likes,” followers, and shares you get. But numbers alone can be misleading. What gets liked and applauded online isn’t always important to God. For the full picture, you must measure the numbers against His truths. God doesn’t care if you have 3 followers or 3,000, 2 likes or 200. He simply wants you to do the best you can with what you’ve been given. The size of your audience is irrelevant because drawing even one heart closer to God is far more valuable than racking up 50,000 “likes” on a picture. Set standards for yourself. In today’s virtual world, there is a reckless disregard for content as many people post pictures and comments that are inappropriate, racy, and rude. Low standards lead to online bullying, smear campaigns, tarnished reputations, and social media nightmares. Please don’t get caught in that vortex. Set a high bar for everything you post, even if the people around you don’t. Be a responsible digital citizen, remembering that what you put online creates a digital record attached to your name. Whatever online reputation you create for yourself today will affect the way people perceive you and receive you today, tomorrow, and for many years into the future. Friends: THIS BOOK IS SO GOOD! It is absolutely practical, relevant, and spoken with such an encouraging, positive tone. Whether you have a daughter or not, I’m sure there are some young ladies in your life that would enjoy this book. As a boy mom, I am reading it and pulling out many sections to share with my boys. Do you love (or UNLOVE ;)) Social media? Have you seen the positive side of it? Has social media issues been a challenge for your family? Also– maybe some of you can share the influences that helped shape you (positively I hope!) in your growing up years…What or who helped you form a healthy identity? Thanks for sharing, I know this will be a great conversation in comments. If you’ve enjoyed this post, I would love for you to share it with friends using social media share buttons below! Thank you! Here’s to parenting with love and intention, and here’s to a most excellent book…I know that it will offer great inspiration to many! The amazon links here are affiliate links which means if you click through and purchase a book, Amazon will reward me with a small percentage of the purchase price. Your cost is always the same! 😉 Thank you! We have struggled with social media. It’s a challenge for sure! This article really helped me. Thank you for taking time to put your thoughts down in writing. I also like to hear about what you have to say about bullying. 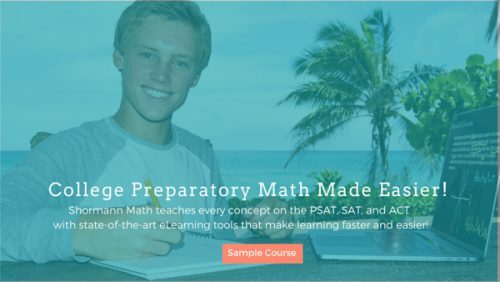 I know your kids are home schooled, but would you have experience or some thoughts on it. My boys are 16 and 14. 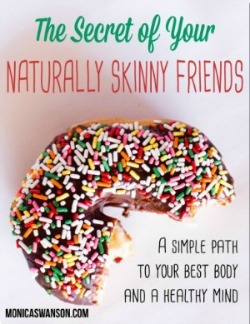 Having 2 tweens, this would be a great read for both myself and my daughter. Id love to win a copy. Thanks for writing and sharing about Topics that matter so much to many of us Mothers. I struggle with a lot of the emotions & issues you mentioned when it comes to my own social media usage! I think one thing I can really do to help my children is to model healthy screen time habits & relationships away from the computer! I dont know if I’m too late for the drawing but hope not! Regardless I will share how difficult it is to navigate social media with kiddos. My newly 14 year old hasn’t expressed much interest in social media unless he can do it on a smart phone which we have not yet felt he has earned our trust enough to have. It’s so hard knowing he is missing out on making connections with his peers in a way most of them do now.. via social media. I feel better though reminding myself although in today’s day and age there can be true value behind social media, it’s ultimately still shallow and only face value. The real relationships I want my children to value are the face to face ones. As always thanks for a wonderful post and I’m excited to start following Kari especially since I have an eight year old daughter who I have a feeling will be much more interested in social media in the coming years than my son ever will be! I personally am on FB and I like using it to keep up with friends and family. My daughter (age 14) only has snapchat and sometimes has trouble limiting her usage of it. She also uses her phone to contact classmates about school assignments. We all work together on the dining room table after dinner, so we “track” her phone usage that way. Screen usage (phone, ipad, laptop) is a concern in our household. It’s a tough battle. Great article! I would love this book for my boys (almost 9 & 11) who will soon enter the world of social media. It seems smart to prep them before they go there. I also would like to add that most people whom I admire for their humble yet confident personality in real life also have the same ‘online personality’. I hope to show my boys examples of fun friends’ and cousins’ online persona to give them a guide! Thank you for sharing about this book Monica! I would love to share this with other friends of mine with teens. Interestingly, these principles never stop being applicable! Adults can get sucked in, too. Thanks for the reminders! Was delighted to share w/ my 2 teenage daughters. We talk about these things, but it’s good to read it from someone else besides mom! This is such a perfect post for me to read today as I am struggling with this exact thing with my kids. Please oh please enter my name for the LIKED book. Your synopsis of it speaks to me during this difficult tween/teen stage. Thanks for all your wise words and stories. They’ve been enlightening, comforting, and helpful. I am raising a mini me and, knowing how I struggled with fitting in (or not) and playing the comparison game (and in my mind always losing), the idea of my sweet girl facing all of that and throwing in social media leaves me feeling paralyzed! I still have a couple years left to figure out exactly what our plan is, but this book could help us figure out how to survive the social media world, or if we should even enter it in the next couple of years! Please enter me to win!!! Hi Monica & Cindi! Great topic of conversation that is so relevant to today. Im a Mom to 2 teens, 19 daughter(college) & 18 son(Sr in hs.). After all Ive learned & gone thru in past 5 years, I would never allow my children smart phones & unmonitored computer time. I was naive(as most parents are) as to what they could see, (& some of it accidentally), what they could find, & be bullied by . Our family has been ripped apart by the terrible images, bullying & addictiveness that these devices can bring into families lives. I may talk more later of my story but Please, as parents you have the right to monitor,check what your kids are looking at & take away the devices for a period of time or altogether. Our children are only kids once & for such a short time. Guard their hearts,souls & minds. God will protect our children if we pray & ask His help. But we must do our part to say No, and use good judgement. When teens become older, its still very important to be the Parent & monitor. When they turn 18,19…. They are adults & can do as they please. (where my kids are now) I still encourage & give good advise, but it is now their choice. And they are great kids, but its been thru lots of pain & heartache, we’ve learned so much. As yougers kids & teens, find lots of activities to do with & for them. Keep them busy reading, crafting, sports, homework, visiting friends& relatives, working, playing outside, cleaning,etc. Then they will not have as much time on social media & not be able to get caught up in the Snares of the negative. All of us over 35ish survived without it & our kids can too. Thank you for trying to instill the good into kids!! I think you’re right on track just looking ahead and thinking through it all Cindi. Over the next years I am sure things will just keep changing, so keep your finger on the pulse of the culture and use your good judgement (and your memories of being a teenager ;)) to choose wisely. Bless you! I see pros and cons to social media….. it is a concern of mine for my growing children. Great Article… forwarding the article and book to my mom friends because we all need extra advice here and Jesus 🙂 Definitely need Jesus. Thanks so much for this interesting post, and the opportunity you provide with it. I would Love a copy for my 17 year old daughter whom has just finished school. Unfortunately my folks bought her an iphone a few years ago. Little did I know the effect it would have on her. My other two younger children do not even want an iphone, of which I am so relieved. I have brought up my 3 children in a Christian environment all their lives, and we do attend church. They go to a Summer camp at the end of each year, where they are taught Christian principles with other young people in our Church. Although she has not ‘steppedout’ into the bigger world out there, literally, the effects of our modern age do have impact, as we know. I would love to have this opportunity to pass this booklet onto my growing daughter. Thank you. All he feels. I’ve experienced the highs and lows of social media. Currently, I’m not “online” much…but recognized that my children are in a different world than mine was at their age. So, send me your extra copy of LIKED! And I will share it wih all my friends!!! Thanks! My daughter is 13 and this sounds like a well timed read. Great article Monica! My daughter is 30 and thankfully didn’t grow up with the same social media as today. Actually I’m so thankful for not having grown up myself in this period. I am keeping this for future grandchildren. I would love to win this book. Social media can really been a land mine field for a lot of people. There is so much bullying taking place these days right out in the open on social media for all to see. I myself have been hurt by things I’ve seen and have taken breaks from social media. Thank you for writing about this. Blessings to you and your family. As the mom of two teenage boys (13 and 15), managing computer use and social media time is something we are struggling with daily. Like you, we have one who is for the most part trust worthy and mature in his use of social media, but we also have one who is impulsive and social and very into what others think – and VERY computer savvy! To him, being “connected” is a part of life; to us, it’s downright scary – and yet, we’ve found it unrealistic to limit his use of social media entirely; too many activities rely on it now for communication. I appreciate posts like this and the comments other readers make – it’s nice to know we’re not alone – and to get some ideas for how to lead our children through this “new” world, especially since this isn’t a battle that we’ll have made it safely (hopefully) through in a year or two or even three – we have two more coming up (boy, 5 & girl, 18 months)! We’re in it for the long haul. These are excellent points. We have a rule to monitor til 18yrs. Now even with my 22 yr old we are followers. We found that kids are rather tech savvy and know the apps and devices to hid their digital footsteps. We have had to intervene as late as 17 yrs with one of our kids. Since my husband and I are both engineers and use social media for a fe of our businesses we tend to see more that most parents miss. Sharing tips like this is very helpful as the global world is constantly changing. If I could be real for a minute, it’s challenging when theres a parent in the home, who thinks it’s a wonderful idea to unplug during family time, but the novelty has worn off and you quickly return to same habits, phone in hand. So you gently remind, but don’t see much effort, so you pray. Would Love to have the book, Liked. Thanks! Thank you! What a great post full of wisdom. Parenting teens in today’s era of media is definitely hard. We put limits on media until they show maturity and wisdom as well. I also no longer need to monitor my oldest and thankfully my middle dd has no desire for it yet. Her nose is always in a book. I have three teens girls, one of which, Haley, is a follower on your FB page. At 17, she is wise beyond her years spiritually, and has also taken many breaks from media of all kinds. She is currently a freshman at TKU studying cross cultural missions and being in college young, I am so thankful for amazing bloggers including you, who give wisdom to kids who want to live counter cultural in today’s world. My 15 yr old is following in a similar path. They also enjoy following the FB pages/blogs for The fulltime Girl, Girl Defined, Physician Masonheimer blog, and Do Hard Things. I think teaching them to filter all decisions and choices thru Jesus as well as showing them living examples of those who did not has helped my girls see the difference. Exposure from middle school on has shown them what can happen if you allow media and opinions to dictate your choices. They’ve watched many family and friends fall victim to fleshly desires and have learned to show grace and love while at the same time, learning that they never want to go down that path. The blogs they follow have helped encourage them in the values they have set for themselves as they get older. Haley has decided she won’t date until she is ready to marry and she is saving her first kiss for the altar. Right now she is simply focusing on school and mission trips. Thank you for your wisdom! I am also thankful we didn’t deal with this in the 80’s. I would have been a mess! I “like” social media. I think there are times, as an adult, we get a bit addicted to it. The part I love (the positive side) is keeping up with people that I don’t see often (or haven’t seen in years). I love seeing pics of their families, etc. Our kids are not old enough for social media yet (11 – girl, 9 – boy) – although my 11 yo recently asked to get musicl.ly – but we told her “no” ( I had just read several articles that didn’t shine a good light on the app). Thank you for your post. It was very helpful!! Thank you. I am a single mom of an awesome 15 year old son. I gave a smart phone way too early and it was disastrous. Took it away and replaced with a flip phone 2 years now. Lots of conversation about open policy. I need this to transition him to having those privileges again. God bless. As a mom to two littles (years away from social media) and a wife to a student pastor, I love the discussion here and can’t wait to read more.